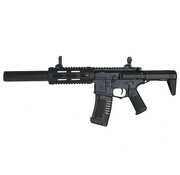 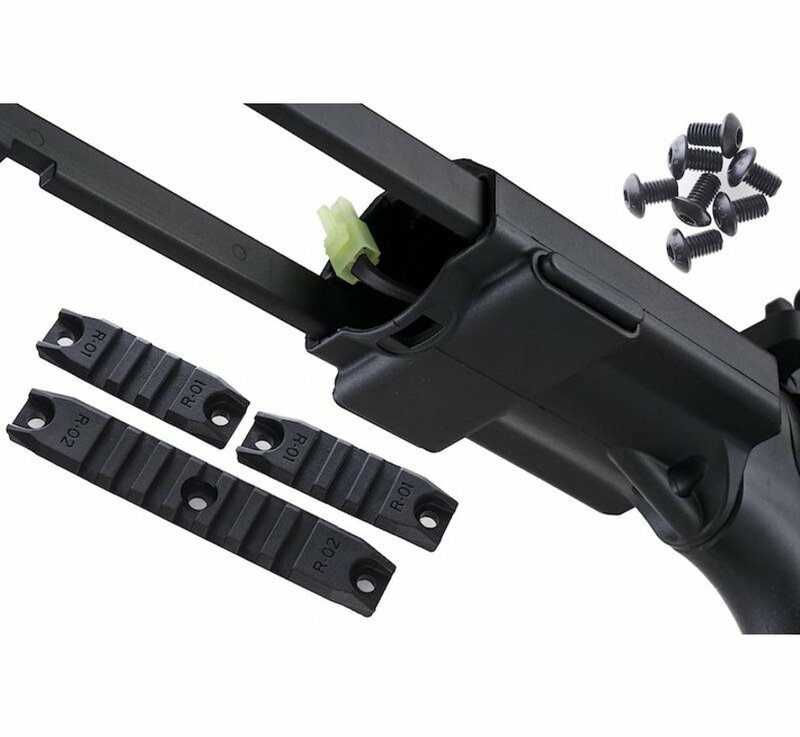 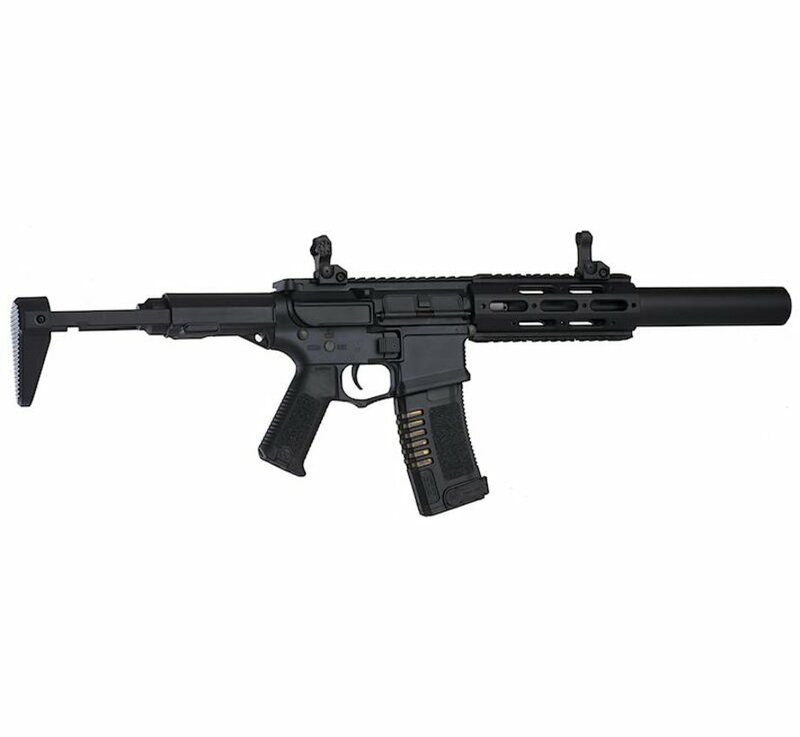 Ares Amoeba AM-014 EFCS (Black). 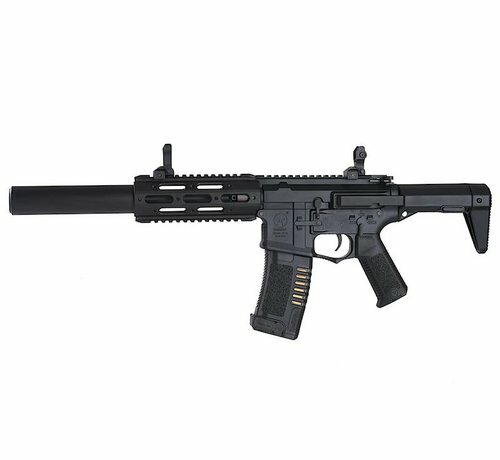 Finally, the airsoft version has arrived. 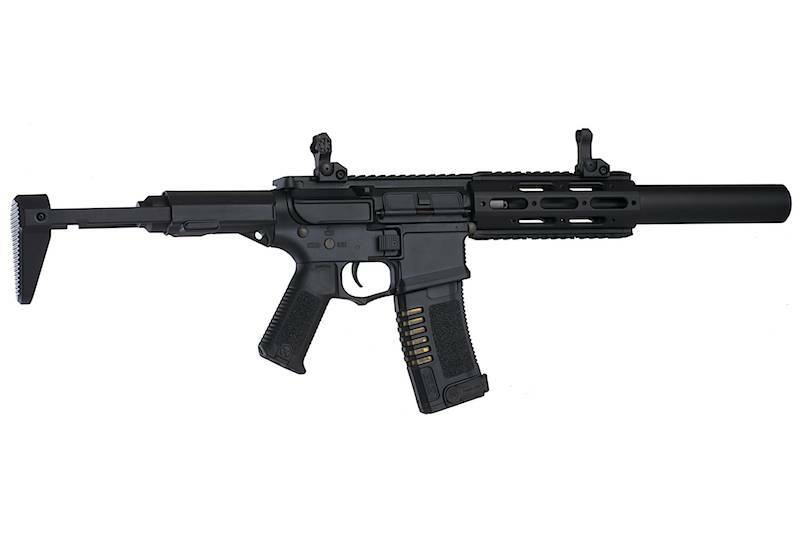 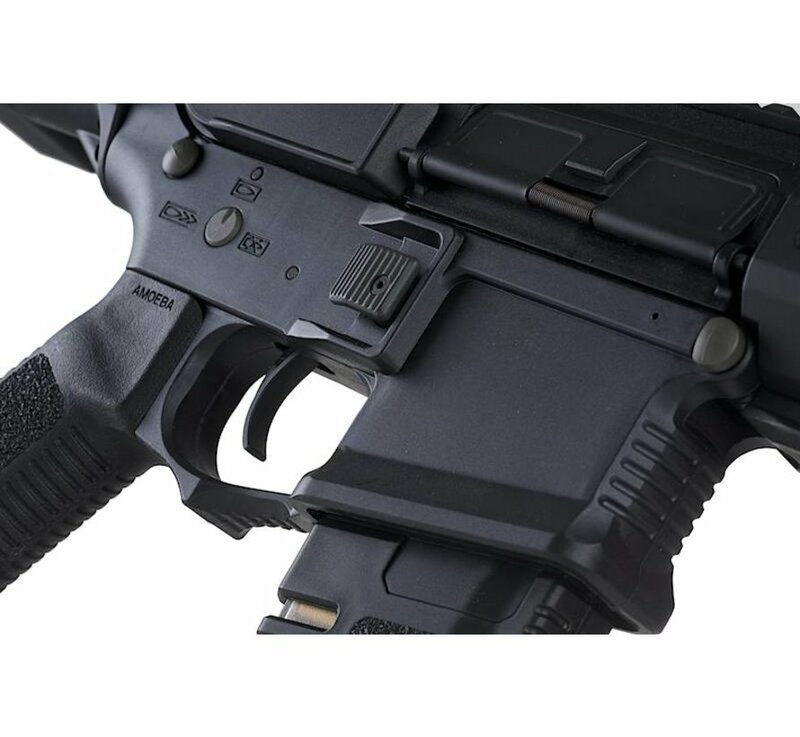 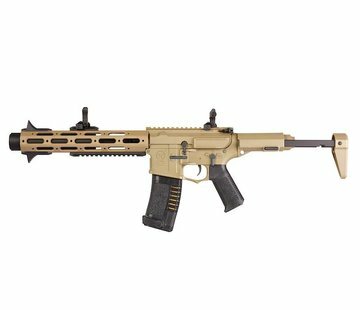 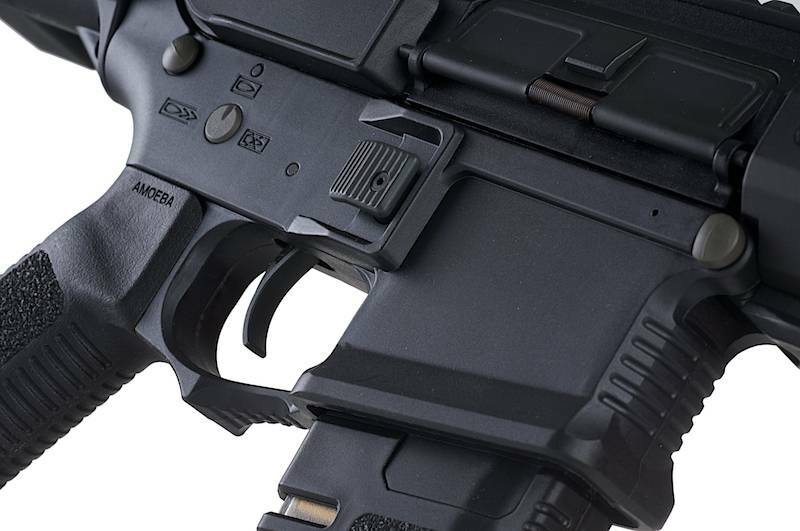 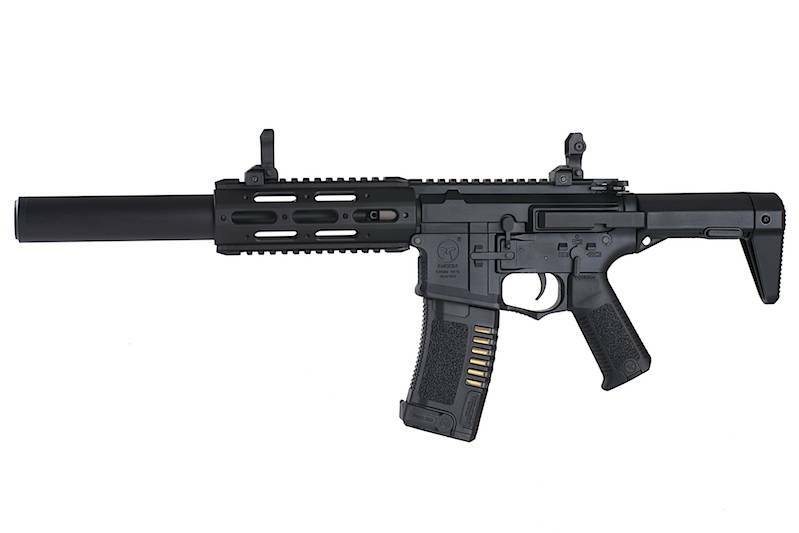 A lot of people have gone and customized their own version but ARES are the only company that have listened and set off to design the AM-014 which closely resembled the AAC Honey Badger PDW. 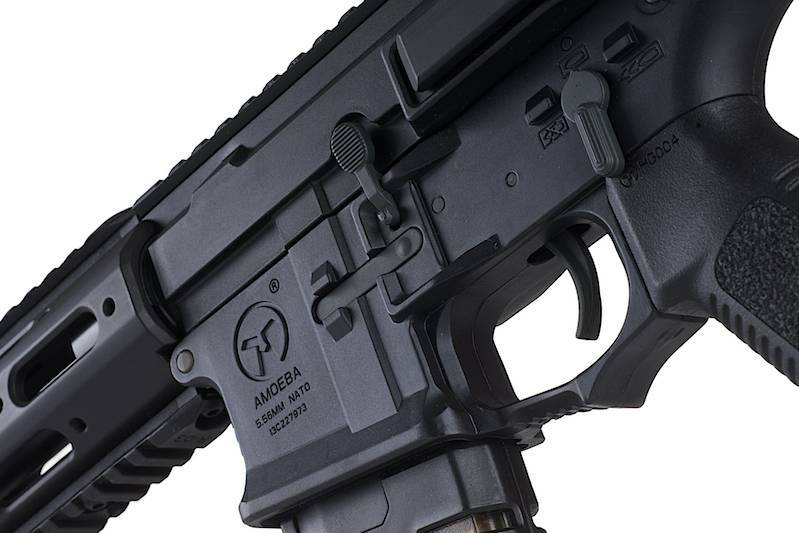 It fits in with their Amoeba line as their receiver hasn't changed but they've managed to add the stylish HB extendable stock, a free float hand guard and a mock suppressor protruding out the front. 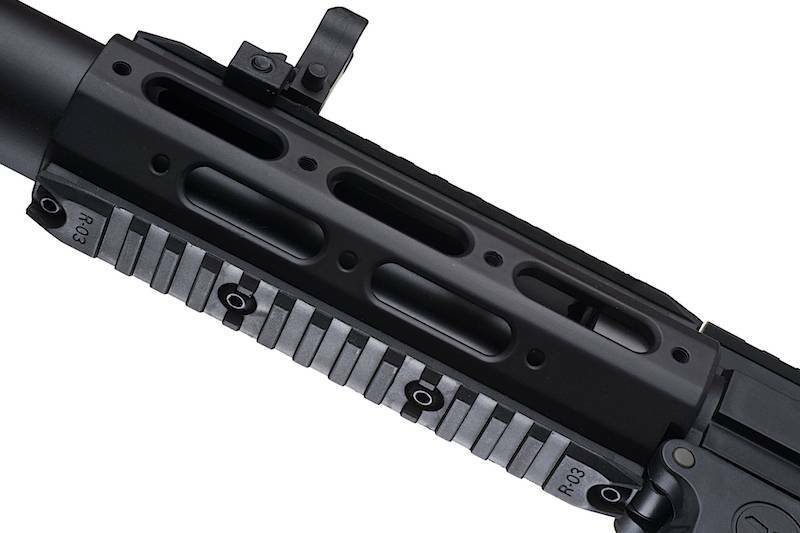 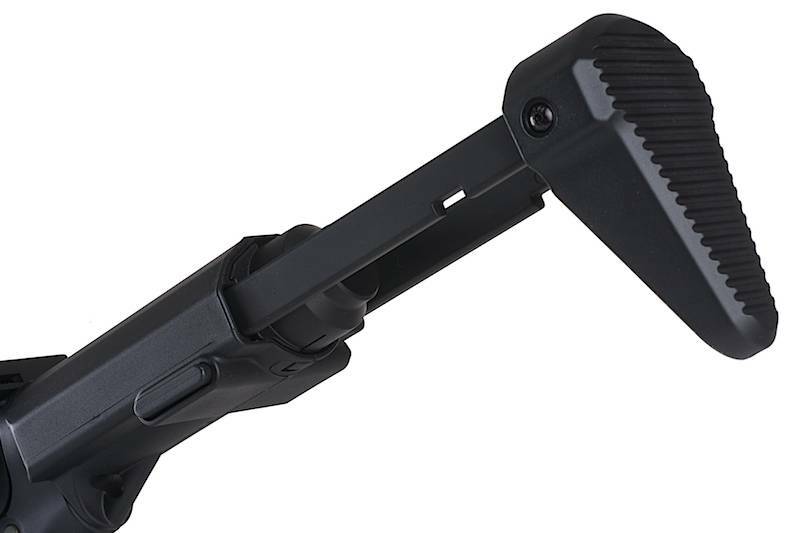 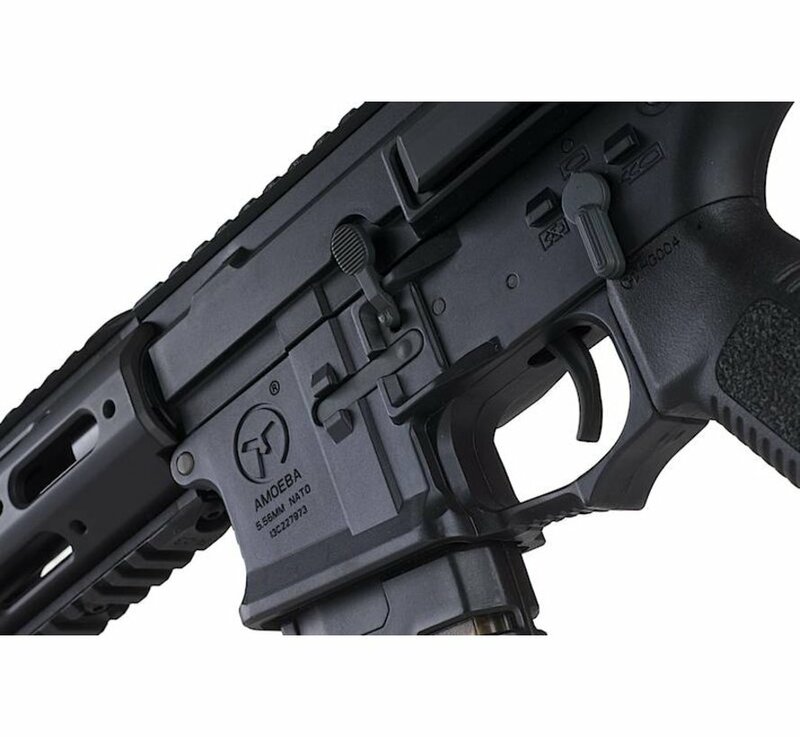 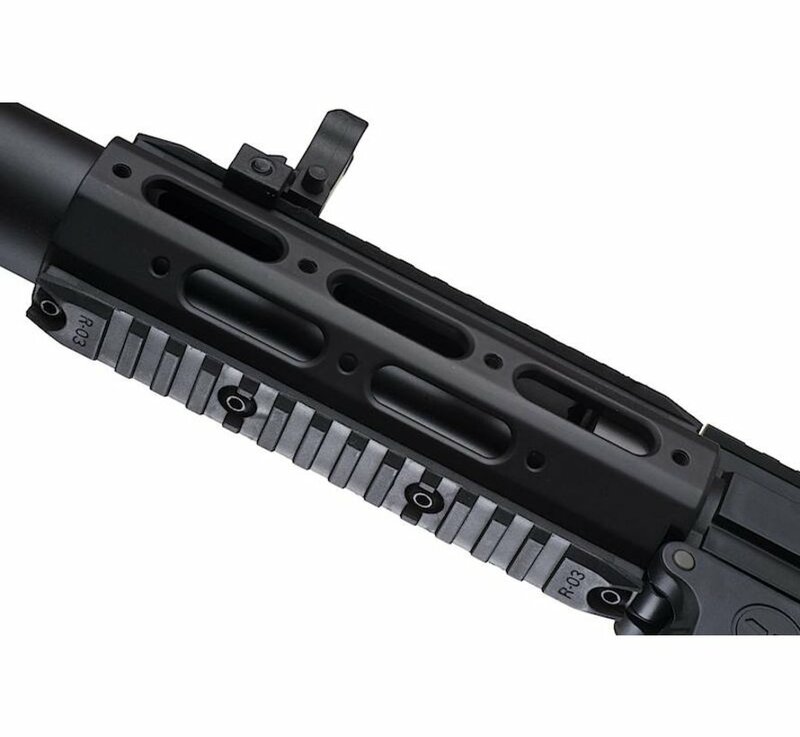 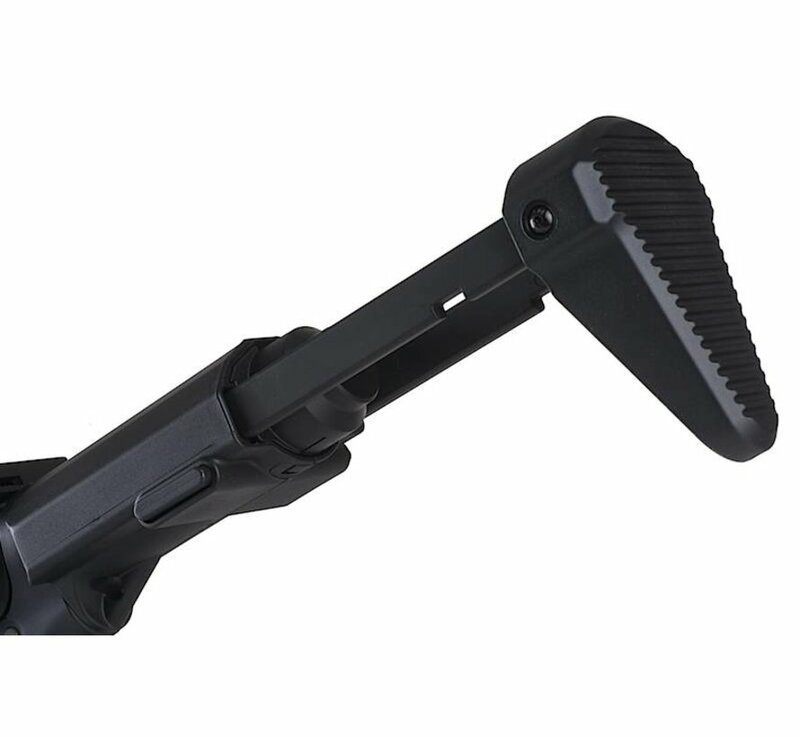 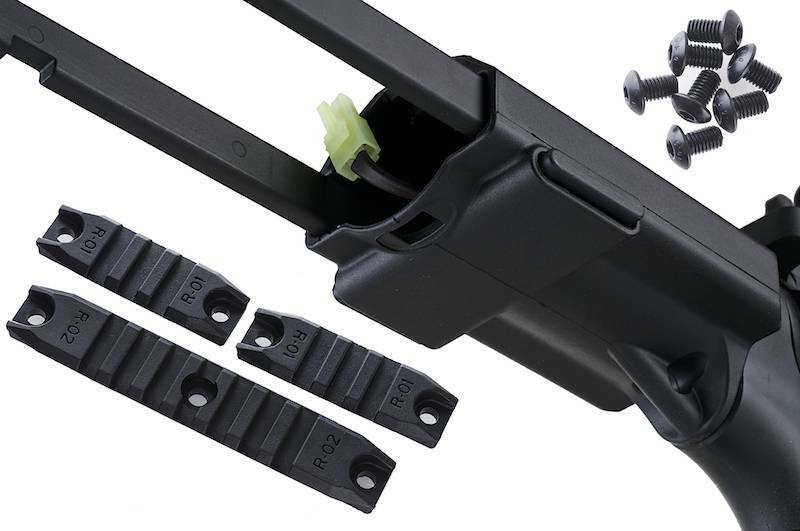 The hand guard is a little shorter suitable for those who prefers the gun length shorter.